For a long time, I just couldn’t understand the sheer hatred directed toward Cruella de Vil. From unprompted accusations of evil to that spiteful song condemning her as an “inhuman beast,” everyone seemed to have it in for this poor lady. Indignant, I stuck up for Cruella. What, I asked, had she done to provoke such ire? Why were we harassing this solitary old woman who’d done nothing to us? Against my friends’ furious protestations, no one defended the fur-obsessed proprietress of Hell Hall more vigorously than I. Well, that all changed when I finally saw the eye-opening film called 101 Dalmatians. Against my friends’ furious protestations, no one defended the fur-obsessed proprietress of Hell Hall more vigorously than I. It is horrifying. 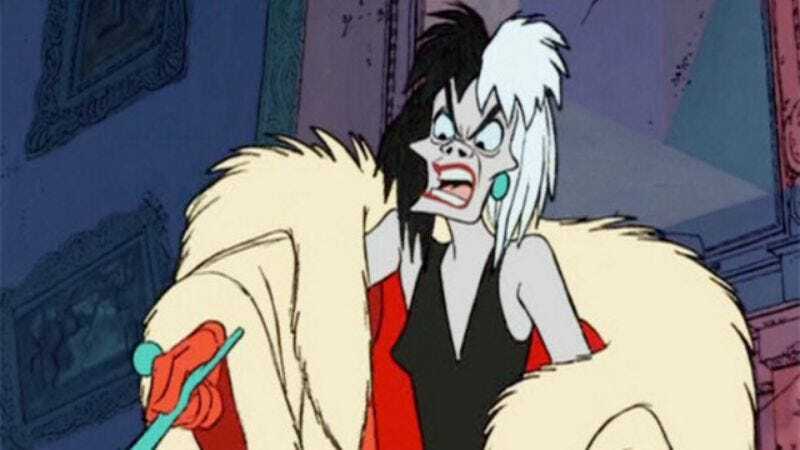 The evidence the filmmakers present against Cruella de Vil is abundant, indisputable, and thoroughly damning. Flouting the law, she kidnaps 99 dalmatian puppies solely in order to make herself a fur coat. When the dogs escape, she tries to steal them back. And throughout it all, she verbally abuses her employees and behaves with such revolting, brazen callousness that I’m surprised she allowed a camera crew into her mansion in the first place. Frankly, I found much of it difficult to watch. I now see that I spent far too long giving Cruella de Vil the benefit of the doubt. And for anyone who has seen even the first half hour of 101 Dalmatians, there can be no doubt: She is an execrable maniac. Suffice it to say, I no longer believe it is possible to be unduly harsh on this woman. Here’s hoping she gets the punishment she deserves.